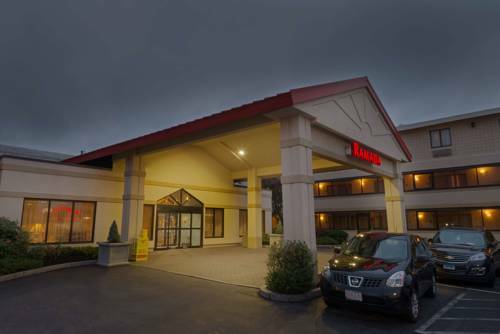 Conveniently located off Interstate 93, this Ramada Boston hotel is near historic downtown Boston, Fenway Park, Boston Bowl, Franklin Park Zoo, Boston Childrens Museum, John F. Kennedy Presidential Library and Museum, Boston University, the Museum of Fine Arts and many local restaurants. Refresh at this smoke-free hotel with complimentary wireless Internet access, complimentary continental breakfast, seasonal outdoor salt-water pool, coin operated guest laundry services, shuttle service, meeting and banquet space, and business center. Guest room amenities include complimentary newspaper, desk, in room safe, coffee maker, mini refrigerator and safe. Suites and handicapped-accessible rooms are also available.